This article was inspired by several experiences with different students over the course of my teaching career so far. Special thanks to my mother who is a musician with extensive experience in special education and took the time to answer my many questions. Autism Spectrum Disorder (ASD) is a term that encompasses a wide “range of conditions characterized by challenges with social skills, repetitive behaviors, speech, and nonverbal communication (Autism Speaks).” Signs of autism, caused by either genetic or environmental factors, can be detected in children as young as eighteen months (Autism Speaks). Several medical and mental health conditions, including seizures, anxiety, and attention deficit and hyperactivity disorder (ADHD), often accompany autism (Autism Speaks). According to the Centers for Disease Control and Prevention (CDC), nearly 1 in 68 children in the United States will be diagnosed with autism (Autism Speaks). For music educators, this means that instruction will likely need to be diversified to fit the needs of all students in the classroom. According to the U.S. Department of Education, the Individuals with Disabilities Education Act (IDEA, 2004), is a law that makes available a free appropriate public education to eligible children with disabilities throughout the nation and ensures special education and related services to those children. This means that music directors must make an effort to include these students in all class activities. How does this affect a student’s ability to function in music? For the purposes of this article, we will assume that all students in question are “main-streamed” (in on-level classes). Music educators should note that each child is unique and teaching techniques that work for one individual, might not be successful with another. It is imperative that directors be aware of the child’s school history and any existing Individual Education Plans (IEP). 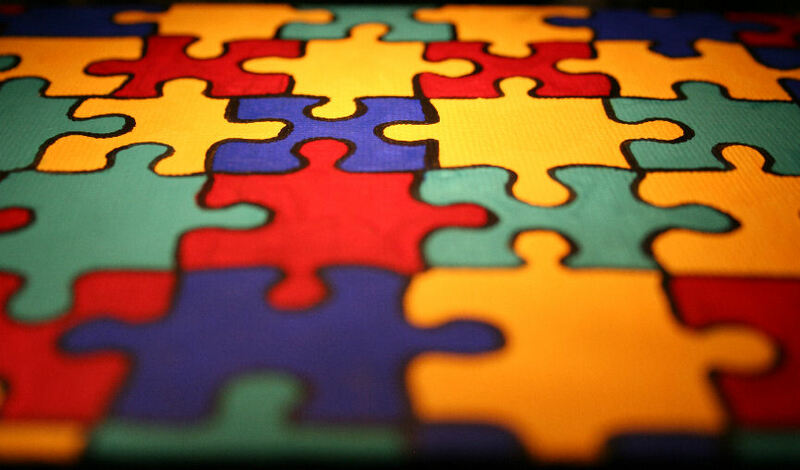 Several children with autism will be enrolled in some form of therapy, depending on their personal needs. If possible, music directors should be included in the meetings about the the goals of the therapy in order to ensure continuity both at school and at home (Autism Speaks). According to Maureen Butler from the Kansas Music Review, the three primary areas in which children with autism have difficulty are communication, social skills, and sensory processing. Students with trouble communicating will exhibit behaviors ranging from difficulty understanding instructions to repetition of phrases unrelated to the lesson (Butler). Children with autism typically have a tough time when it comes to interacting with other people. Tasks like decoding facial expressions, responding properly to the needs of others, and developing friendships can all be challenging for a student with autism (Butler). Sensory processing issues also have an enormous impact on the child’s ability to blend into the classroom. Loud noises, unexpected changes to the environment, or dealing with failure can all trigger a strong emotional response in the student (Butler). Educators should be prepared to mediate when it appears students in the music room are not getting along or are not expressing themselves clearly; the music room should be a safe and positive space for all students. It is imperative that educators working with students who have disabilities are properly trained to accomplish this task. Students who have been diagnosed as “special needs” will, at times, require additional attention and slight modifications to lessons. Music directors should make a concerted effort to make these adaptations discrete and use sensitive language. By sensitive language, I mean of course refraining from hurtful name-calling and always putting the student before the disability (ex: “my student with autism” not “my autistic student”). Being educated about the effects of autism is only one half of the recipe for success; music educators must “be mindful of any sensory impairments […] and take steps to reduce sensory input where necessary” (Butler). For example, avoid surprise changes to the class routine and take steps to reduce the amount of clutter in the room. Kim Davis from the Indiana Resource Center for Autism, points out that the “music […] education environment can be very overwhelming” with seemingly unlimited spaces, large class sizes, and loud instruments. Educators should clearly state the expectations for the class and make the lesson plan as predictable as possible; consider including a visual agenda in the front of the room (Davis). According to the American Speech-Language-Hearing Association (ASHA), “the population of ASD presents with tremendous heterogeneity;” communication might be an enormous challenge for some students and a non-issue for others. Music students with severe deficiencies in communication skills might have difficulty recalling words or names that they have already learned or unintentionally interrupt other people (ASHA). Being aware of this, educators should employ patience and politely remind the student of the appropriate social norms. Directors should also be aware of the common tendency of students with autism to be very literal with instructions and avoid the use of sarcasm or idioms/metaphors (ASHA), as is common practice in music education when creating a “plotline” for the piece of music. Instead, students should be given clear and simple instructions and immediate feedback about all classroom behaviors (Davis). ASHA also cautions directors about assuming a student possesses a communication deficiency without taking into account cultural differences since, in several eastern countries, direct eye contact and loud vocal participation are considered a sign of disrespect in the classroom. According to the National Autistic Society (U.S.), there are two main ways that a person with autism might respond to stressful circumstances; by withdrawing completely from the situation or by having a meltdown. A meltdown is described as “an intense response to overwhelming situations” and is often characterized by a verbal outburst or a physical reaction in the form of biting or kicking (National Autistic Society). Educators are urged to consider that “a meltdown is not the same as a temper tantrum” but instead is a sign that an individual “is completely overwhelmed” (National Autistic Society). Directors should be aware of the most common signs of an approaching meltdown like pacing, rocking, or repetitive questions in order to avoid the classroom disruption (National Autistic Society). If a meltdown does occur during music class, it is important that the director respond appropriately. Educators are encouraged to speak calmly and have an “escape plan” for students who may become easily overwhelmed (example: a visit to the counselor) in order to quickly de-escalate the situation (Butler). After an incident occurs in the classroom, it is important to do three things; document the incident through the appropriate channels in the district, reflect on what might have triggered the incident, and remind the remaining students in the class to respond kindly and appropriately (Butler). Because of the enhanced ability to focus on one (at times repetitive) task for long periods of time and the immense attention to detail often present in people with ASD, it is not surprising that there are several famous musicians with autism. Travis Meeks, from the United States, is a successful guitarist and singer most famous for his work with the band Days of the New in the 1990’s (ABA). Marty Balin was another famous American songwriter and singer who founded the band Jefferson Airplane in the 1960’s (ABA). Susan Boyle, the recently-discovered British singing sensation, has sold more than 14 million records worldwide and become a household name internationally. What Meeks, Balin, and Boyle all had in common were both ASD and enormous success in music. With proper musical education and opportunities to succeed, all students are capable of exceeding expectations. Review. Kansas Music Educators Association. 19 November, 2016. Web. 2 November, 2017. “Meltdowns.” Autism. National Autistic Society. United States. 2017. Web. 3 November, 2017. Davis, Kim. Indiana University Bloomington. Indiana Resource Center for Autism. 2017. “Individuals with Disabilities Education Act (IDEA).” Department of Education. United States. Association (ASHA). United States. 2017. Web. 19 November, 2017.